A-TRUSTWORTHY HOME REPAIR & MOLD REMEDIATION SERVICE - 417-873-9412 OFFICE 417-693-0851 CELL atrustworthycrawlmoldservice.com YOUR HOME IS OUR ONLY BUSINESS. YOUR HOME IS OUR ONLY BUSINESS. EVERY HOME IS A PALACE. PROFESSIONAL COST EFFECTIVE SERVICE ALWAYS LEAVES A SMILE ON THE CUSTOMER'S FACE! * PLEASE CONTACT US BY E-MAIL IF YOU SO WISH. MOLD Will Destroy Your Home As Well As your Health. 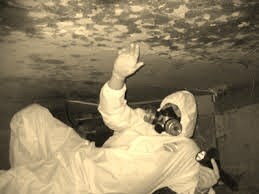 Call Today For Your Free Local Crawl Space Inspection.